The vile racism and misogyny of Breitbart was front and center this week due to the Buzzfeed story pulling back the curtain on the hate-site’s internal dynamic. I’m all the prouder to have been in (Breitbart editor) Steve Bannon’s cross hairs a year before Republicans elevated his white supremacy to the White House. One of climate denialdom’s most deranged and angry voices kind of hates my new video. Jame’s Delingpole, seen below, whose motto is “I’m evil and right about everything.”(sorry Jimmy, only half right..) – deals in a very special kind of blissfully clueless, fact free invective that climate deniers love because it requires no thought or knowledge whatever. In fact, Delingpole brags that he never takes time to look at tedious science. He’s too busy with other things. Found an “unblocked” version of Delingpole interview here. Above, James Delingpole is asked a question. Implodes. He later complained he was “intellectually raped”. But he is on to me, and calls me out for my malevolent practice of seeming “measured and reasonable”. Ok, Jimmy, you got me. The clip of Milo shows yet another sick right wing F**K whose illness is manifested in his hair style. What is that mess on top of his head? Does putting whipped cream on a turd make it palatable? PS It’s a shame that BBC has blocked the Delingpole video clip. Does anyone know how to access it? It’s one of my all time favorites of a science-ignorant denier AH melting down. Have you tried googling the information? It is out there somewhere. has some interesting take on the adjustments. If you do not agree look up the paper, pay the fee and see if you agree or not. Couple of years ago, the Global Warming Policy Foundation announced with great fanfare they were going to investigate temperature surface measurements. Most people said: Isn’t that what Richard Muller and BEST did? And they confirmed the GISS & HADCRUT estimates. GWPF asked for input, so I am assuming they heard from people like Andrews. Net result is a deafening silence from GWPF, and it seems their “investigation” never got off the ground, or they were disappointed by the poor quality of what they saw. Personally, I am sticking with Zeke Hausfather. 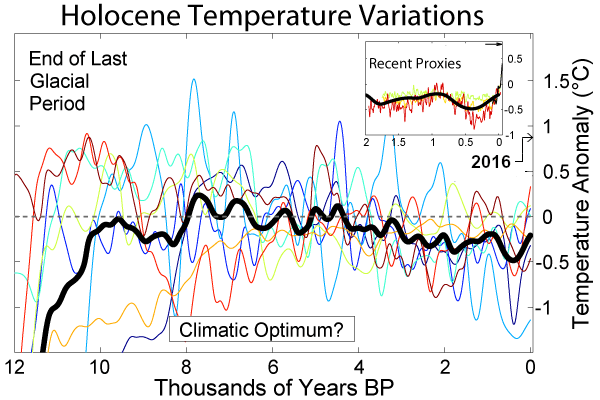 And, incidentally, Michael Mann’s many-times-confirmed paleoclimate temperature reconstructions. No timetable has been set for the panel to report. For the record, a competent scientific programmer can, in a matter of days, write software — from scratch — that confirms the published NASA/NOAA/etc. global temperature results. The warming signal is so strong in the global temperature data (GHCN, etc.) that it practically “jumps out at you” even with the simplest processing. The GWPF geniuses haven’t figured that out yet, even though they’ve been “investigating” the data for over two years. What a joke! I you want to be believed it helps if you do not descend to the same cesspool as those you are complaining about. I have actually been to the Breitbart site and looked up the articles a few times. While some of the stuff is just plain wrong, other stuff is silly, the claim this is a racist site is a lie designed not to inform but inflame the mob. The video in question and the paper making the adjustments are , at least in my opinion, gross distortions of reality. The RSS site for example has the same adjustments it always had and shows no adjustment upwards. Same with the UAh site which uses the same data satellites and a different model. The STAR data using those same satellites and yet a different model has the temperature decreasing for decades. Interpretation of data is not God speaking, it is people trying to make sense of the data, hopefully in good faith, My problem with Mann , for one, is his hockey stick came about by leaving off 80 years of data, using one tree in Siberia, for another data source and the claim in another paper that the world was cooling off for 11000 years prior to the industrial age. No data outside of his paper supports that view. You can disagree or agree, that is what science is supposed to be about, look at the data come to a conclusion and show support. It is not calling somebody racist simply because they disagree. My approach has been to talk to the scientists whose data you, and Senator Cruz, claim to cite. I go by what they tell me, not what jackasswithablog.com says. As far as racist, you need to read the Buzzfeed article, review the video of Milo Yainnopolos posted above and merely look at headlines from the Breitbart site to know what they are about. I’ve made the connection between racism and climate denial here many times. While it is true that not all climate deniers are White supremacists, overwhelmingly, white supremacists tend to be climate deniers. There is a correlation. They are all feeding at the same troughs you frequent. Just sayin you might look at that. ALL the data supports that view. Somewhere in the order of 75 different studies from different teams in different countries and different times ALL support Mann’s original work. It’s about 8000 years anway – not 11. BP is 1950 we are above 0.5 now. Oh, dear! The scientific world will be shocked to learn of these gross injustices never before discussed. Publish, man, publish! – before the editors of Breitbart beat you to the punch and shower themselves, not you, with glory! Here is a graph to get you started. 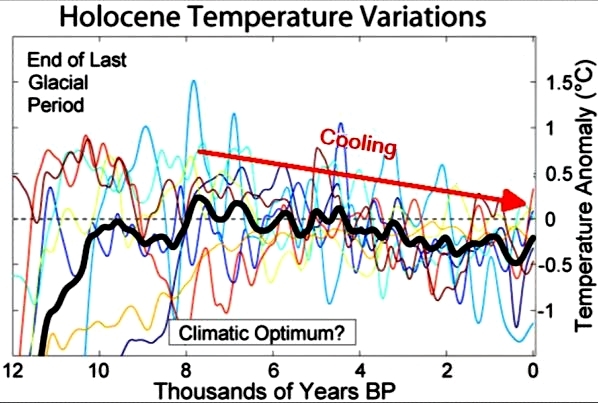 It shows exactly what you said about 11,000 years of cooling. Oh, wait…..
“satellite data… has generally been accepted as the most accurate gauge of global temperatures.” and the very next sentence: “This accuracy was acknowledged 25 years ago by NASA, which said that ‘satellite analysis of the UPPER ATMOSPHERE is more accurate, and should be adopted as the standard way to monitor temperature change’ ” I mean, really, Jimmy? I understand that the airhead Breitbart minions cannot catch how the monitoring of Earths UPPER atmosphere can’t tell you squat about global warming, because the ‘globe’ is 93% ocean water (whose rate of warming has doubled in the last 20 years with no evidence of a hiatus) and the atmosphere above 20,000 feet is so rare you can’t breathe it without supplemental Oxygen. But by what sleight of hand did you think NASA, a quarter-century ago, thought it more accurate than anything but balloon measurements? Do YOU live in the Upper Atmosphere? I live on Earth’s surface, where glaciers melt, where crops whither, where ocean waters overheat, fueling hurricanes, and where deluges flood cities. However, its good news for you Cloud People that the upper atmosphere hasn’t warmed in 18 years. Is that because the equatorial surface waters are overheating, dumping huge plumes of water vapor into the upper atmosphere, holding temperatures steady there due to phase change heat-storage capability? Who knows! I must say, as a mere ‘surface dweller’, I’m a bit jealous of someone who can live with his head LITERALLY ‘in the clouds’. It’s a strange sort of performance art that Delingpole et al. practice. The motives are hard to be sure of and certainly vary, but they include pure attention, adulation from their delusional followers, service to a political program of short-term greed and privilege for the already wealthy and privileged, and fear that the life they know might have to change– take your pick, but none of the plausible ones are pretty. Their fans know nothing about climate, but many clearly love the fight- I’ve met a few face to face, and their focus was on provocation, dismissal, contempt and self-aggrandization. Those traits seem to me a pretty good fit with attraction to white supremacy (especially for white males, of course) along with other ugly forms of political expression. The Republican party is trying to ride the beast, but I think they’re stuck like a bronc rider on a mean horse with no way off and no control over where it’s going to go. Well earned, of course. Why don’t you folks read your grafts. If you accept the premise of the graft if shows the world was much warmer at one point which marked the end of the last ice age, Warm enough per some NASA research to melt off all that ice in a few hundred years. If you roll over to the studies on CO2. 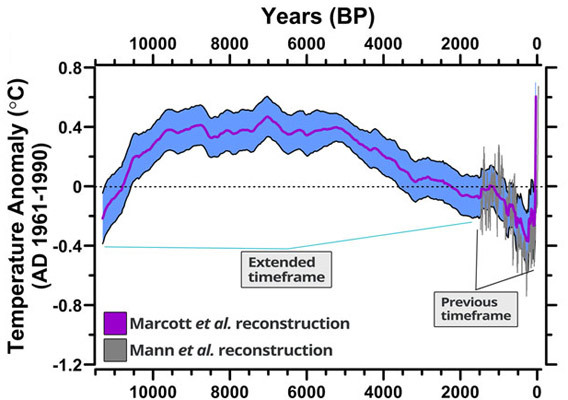 the concentrations were a lot less than present day PPM so somehow it was both a lot warmer and had a lot less CO2. That leaves one with a problem of what caused the warming. The sun is the only possible source. Since changes in solar output upward have been shown in some studies along with changes in warming from changes in earths tilt and orbit, the entire or at least most of present day warming is most likely caused by solar output and reception changes not CO2. You can test cO2 warming yourself by running MODTRAN. doubling the CO2 will increase warming by about 0.67F. Lord love a duck! Tommy-Poo Bates disappears from Crock and a few weeks later is reincarnated as “Jerry Falwel”. How do we know this is so? His use of GRAFTS and the same confused comments about CO2, ice ages, solar output, and global warming proves it beyond a doubt. Yup! I was suspicious of his “voice” – but that is a unique fingerprint. Verily, wield the ban-hammer once more!!! Agree that Jerry Falwel is a reincarnation of Bates and should be banned. Look at all the time wasted on him. “Why don’t you folks read your grafts.” Outed as Master Bates. What a tool.